She was faithful to her husband, but she, prisoner, had lived with another man. It was not good. And Rama, Lord of Ayodhya, tell to his beloved wife that the war against Ravana, the millions of deaths, the mythical bridge linking India to Sri Lanka, none of all this had been done for her, but to restore the order, the dharma. "I cannot live with you who lived so long with another man." Rama and Sita, the couple shown as exemple of the perfect wedding even today in India, of what must be the relationship between husband and wife and that speaks volumes about the status of women in the Indian continent. Sita was stunned, outraged that they doubted her loyalty, "light a fire - she ordered - if I have been faithful to Rama, though I have always respected, if any other man has touched me, Agni, the god of fire, protect me. Otherwise, I burn! " And she threw herself into the flames. Agni protected her, held her and brought her to Rama, saying, "This woman is pure and have always been faithful." She was the goddess Lakshmi, who, like Sita, she became the wife of Rama, seventh avatar of Vishnu and hero of the Ramayana epic. Her father found her in a furrow of earth and so called Sita. He married the Prince of Ayodhya, but she was kidnapped by the demon Ravana who took her to Lanka. 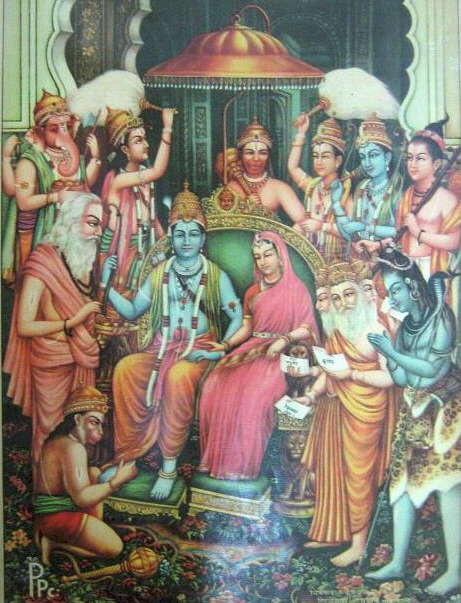 Rama, with the help of monkeys Sugriva and Hanuman, rescued his wife. 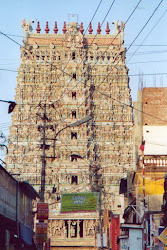 The couple and Rama's army returned to Ayodhya, they lived happily, but the people whispered again. "She lived for more than a year with another man, she cannot live with our King." It was not good that she lived with the example of dharma, righteousness, of what is good, of the rules that make turn the universe. This time Rama, although his wife was pregnant, forsed Sita to leave the kingdom. She will go in the forest near the hermitage of Valmiki, where the two sons of Rama born: Lava and Kusa. Rama knew Kusa and Lava when they had children. Once he had kwown them, Rama wanted to return Sita to Ayodhya too. The queen again declared her loyalty to Rama and her own purity and, before the assembly convened to receive her, said: "If in my mind I had no other man that Rama, if I was always faithful to my husband, you mother, earth, where I was born, give me the grace to get my body." Having said that the earth opened and revealed a royal throne, where Sita sat before disappearing into the earth closed over her. In a furrow she was born, in a furrow she returned.